PLENTY PEOPLE BRAVED the elements this morning for a traditional Christmas Day swim to start the festivities. Alan Heffernan was at the Forty Foot. Photographer Karl Martini was on hand to capture some of the swimmers when they came out of the water. You can view the rest of Karl's images and his other work here at his website, karlmartini.com – and we’ve got a taster for you here. Email “Snapshot: Christmas Day swimmers at the Forty Foot and Seapoint”. 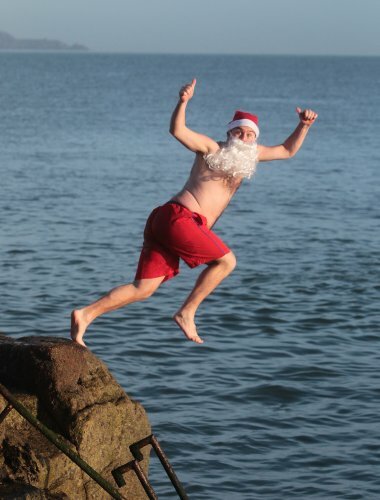 Feedback on “Snapshot: Christmas Day swimmers at the Forty Foot and Seapoint”.